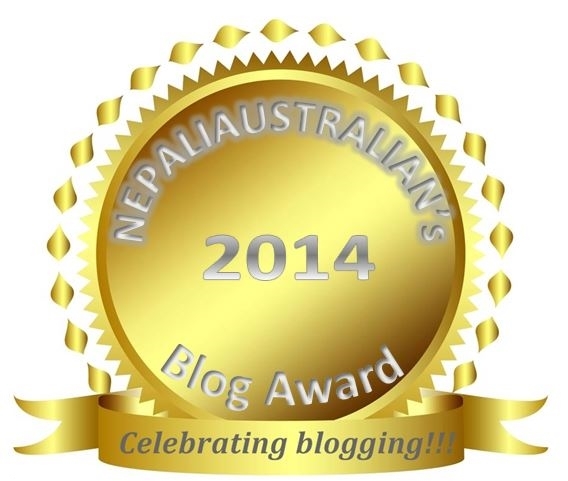 Thank you everyone who have already nominated for Nepaliaustralian’s Blog Awards. Only 2 weeks left to nominate your favourite blog. 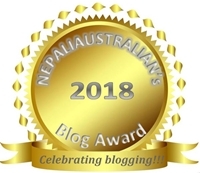 This entry was posted in Nepaliaustralian Blog Awards and tagged australian, Award, awards, Best Blog Design 2014, Best Blog for 2014, Best Blog Post of the Year 2014, Best Fashion Blog 2014, Best Fashion Blog Post 2014, Best Food Blog 2014, Best New Blog 2014, Best Personal Blog 2014, Best Photo Blog 2014, Best Photo Blog Post 2014, Best Travel Blog 2014, Blog, blog award, blog awards, Favourite, Most Diverse Blog 2014, Most Educational Blog Post 2014, Most Witty Blog Post 2014, Nepali, nepali australian, Nepaliaustralian, Nepaliaustralian Blog Awards, Nepaliaustralian's Blog Awards, personal blog, WordPress. Bookmark the permalink. I know. It has gone so quick :). I love your blog, keep up the good j ob.